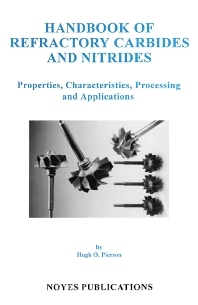 Refractory carbides and nitrides are useful materials with numerous industrial applications and a promising future, in addition to being materials of great interest to the scientific community. Although most of their applications are recent, the refractory carbides and nitrides have been known for over one hundred years. The industrial importance of the refractory carbides and nitrides is growing rapidly, not only in the traditional and well-established applications based on the strength and refractory nature of these materials such as cutting tools and abrasives, but also in new and promising fields such as electronics and optoelectronics.